This post refers to the TransOmics™ Informatics range of software, which has since been superseded by the Progenesis QI range, which represents the merging of Waters’ TransOmics™ Informatics into Nonlinear Dynamics’ existing Progenesis software. All of the features described, however, remain relevant. A fuller description of the new products can be found here. After several months working behind the scenes it is exciting to be able to share with you that Waters Corporation and Nonlinear Dynamics are working towards an exclusive OEM agreement, which would provide a new ‘Omics Research Platform Solution for Waters’ customers. The news was announced as part of Waters’ press briefing at the 60th ASMS Conference in Vancouver, Canada. While we continue to develop and support the Progenesis™ range of software for our own customers, the final OEM agreement will combine Waters expertise in instrumentation with ours in data analysis software. The result? 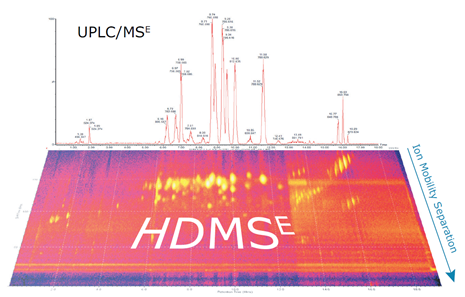 A new research platform solution for users of ACQUITY®/nanoACQUITY UPLC® separations and the SYNAPT® G2-S HDMS™. 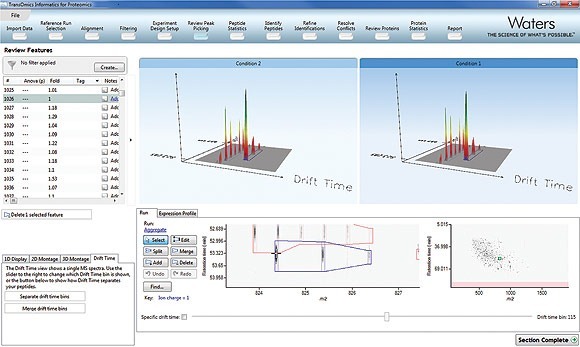 Waters’ innovations in data-independent LC and ion mobility mass spectrometry (IMS) allow you to generate a comprehensive data set, in a single experiment, from very complex samples. This data can be mined exhaustively and repeatedly over an extended period. Our contribution is in providing the informatics element necessary to analyse and visualise these data sets. Together with Waters we are working on two new products. 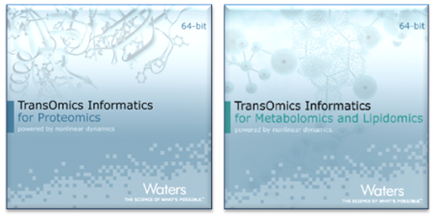 The first, called Waters TransOmics™ Informatics for Proteomics, would combine features of Progenesis LC-MS and ProteinLynx™ Global SERVER 3.0 for HDMS data. The second, Waters TransOmics™ Informatics for Metabolomics, would combine features of Progenesis CoMet and MarkerLynx™ XS for HDMS data. across both proteomics and metabolomics discovery research. 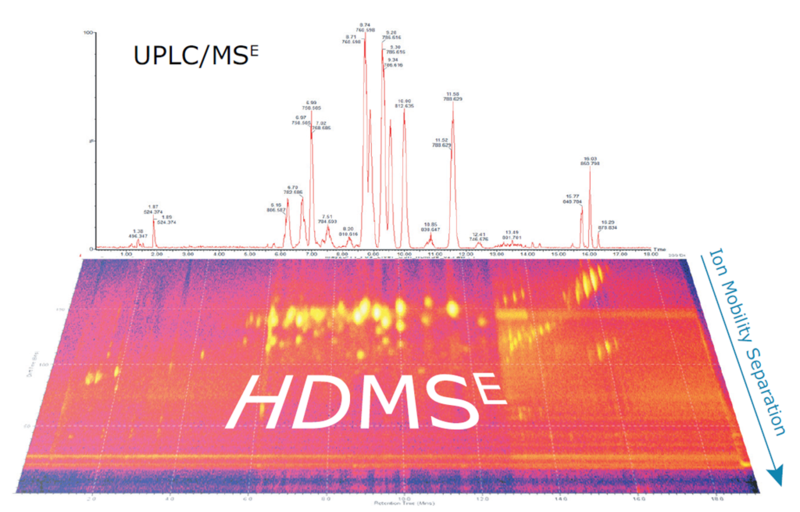 The UPLC®/IMS/MSE or ‘data independent’ mode of acquisition provides unprecedented duty cycle, peak capacity and dynamic range to profile either proteins or metabolites. In addition, ion mobility can separate two co-eluting peptides of similar mass thus preventing co-fragmentation. This eliminates mixed-spectra and increases the number of ‘searchable peptide spectra’. The result is comprehensive quantitative AND qualitative data from the same experiment. Example of visualising ion mobility mass spectrometry separating two co-eluting peptides of similar mass as part of the TransOmics™ Informatics workflow. To find out more about the new Omics Research Platform Solution you can visit Water’s website. The new Waters Omics Research Platform Solution is designed to facilitate relative quantitative analysis across multiple discovery areas. This is the first step towards building knowledge of the interplay between molecules at the protein, metabolite, and lipid levels. This is essential to understand the underlying biology of an organism or a specific disease state for researchers in the pharmaceutical and life sciences, food, and clinical research areas. So, this has the potential to support ‘omics researchers across many fields into the future. This entry was written by Paddy Lavery, posted on May 23, 2012 at 3:00 am, filed under May 2012 and tagged Progenesis CoMet, Progenesis LC-MS, Waters. Bookmark the permalink. Follow any comments here with the RSS feed for this post. Post a comment or leave a trackback: Trackback URL.